There are very few excellent probiotic products on the market and Nutrition Essentials definitely makes that list. Read more below. Considered the number one nutrition supplement on the market today (or at least best selling), Nutrition Essentials is a probiotic that functions like a vitamin. Aptly named for its improvement in body nutrition, this supplement supports more than just the digestive system. This is the ultimate supplement, probiotic meets vitamin. 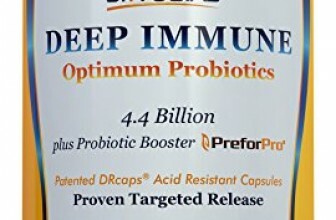 Feature number one: a probiotic supplement that delivers 90% of living CFUs to your gut. 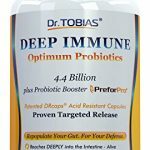 Made with heat resistance technology and coated to protect against stomach acid, it is one of the most reliable probiotics on the market. The difference in live probiotics delivered creates significant improvement in very common ailments such as irritable bowel syndrome, Crohn’s disease, diarrhea, and painful gas and bloating. 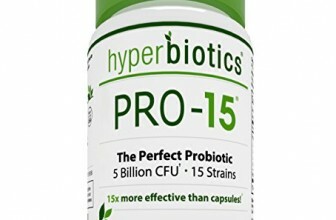 Nutrition Essentials probiotics is different than other probiotic supplements because 1), it is made up of one single strain of bacteria, Bacillus Coagulans and 2), it supports vitamin production- in other words, it’s essentially one supplement to replace them all. 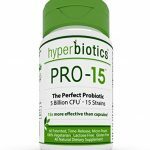 Each tablet of Nutrition Essentials probiotics contains a culture count of 15 billion colony forming units. Because each capsule delivers 90% of live cultures claimed, it is one of the highest counts available in a probiotic supplement. Nutrition Essentials only contains one strain, called Bacillus Coagulan, commonly referred to as Bacillus Probiotics. This strain of bacteria is frequently used to treat different types of diarrhea (including rotaviral diarrhea, traveler’s diarrhea, and antibiotic-induced diarrhea) and common digestive issues including gas, bowel disorders, and bloating. Bacillus Coagulan can very well be considered a super bacteria because not only does it relieve the physical ailments of underlying digestive issues, but it has also been shown to decrease the growth of harmful bacteria in the colon and intestines and increase the immune system response. Used as a probiotic, this strain is very effective in relieving gut issues and ramping up energy levels. It could also be the reason people prefer it over other symptoms- immediate results. Nutrition Essentials is designed to deliver 90% of claimed live probiotics with each tablet. Since the average person requires 10 billion CFUs to maintain gut health, one serving of this supplement easily fulfills a day’s worth of gut protection. Potency is this supplement’s stronghold. Whereas other manufacturers struggle to keep culture count viable until it reaches your door, Nutrition Essentials guarantees 90% live cultures squiggling around in your gut after each one-tablet serving. No refrigeration is required thanks to heat-resistant technology. 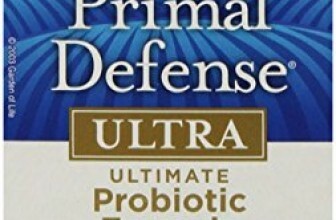 There are very few excellent probiotic products on the market and Nutrition Essentials definitely makes that list. We cannot guarantee that it is the best probiotic available, but it is unequivocally the best-selling and one of the most popular. Its function as both a probiotic supplement and vitamin have much to do with this product’s ratings.